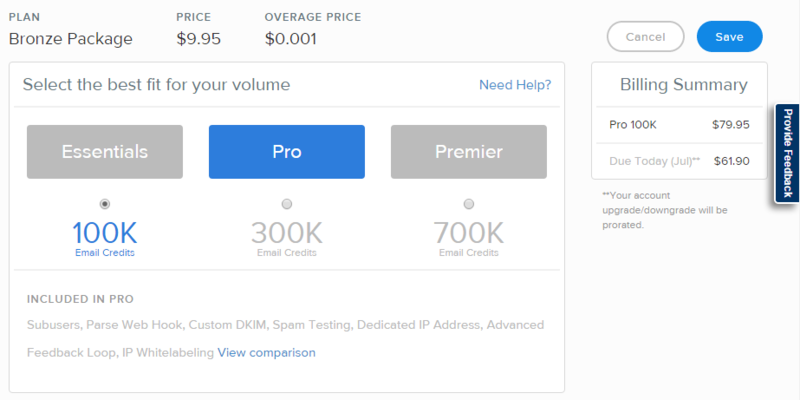 New SendGrid Pricing and Plans. New Plan Names, More Functionality, Same Low Price. 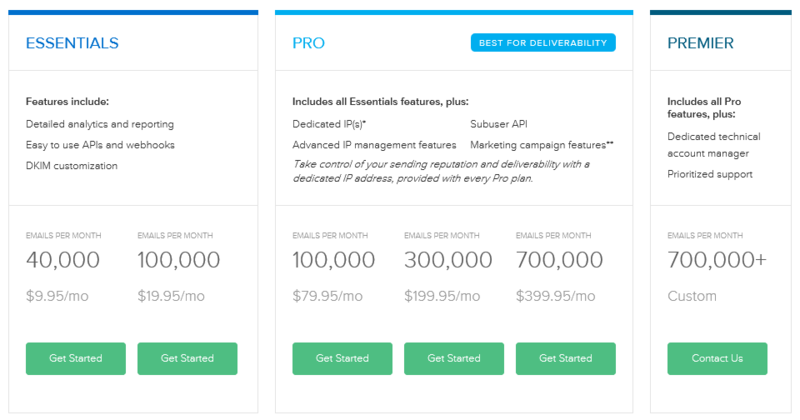 In an effort to help our current Bronze customers scale, and to bridge the gap between the current Bronze and Silver plan email volumes, we are proud to introduce our new Essentials 100,000 plan. This new plan has all the same features as its Bronze predecessor, but now includes up to 100,000 emails per month. It’s also competitively priced at only $19.95/month. 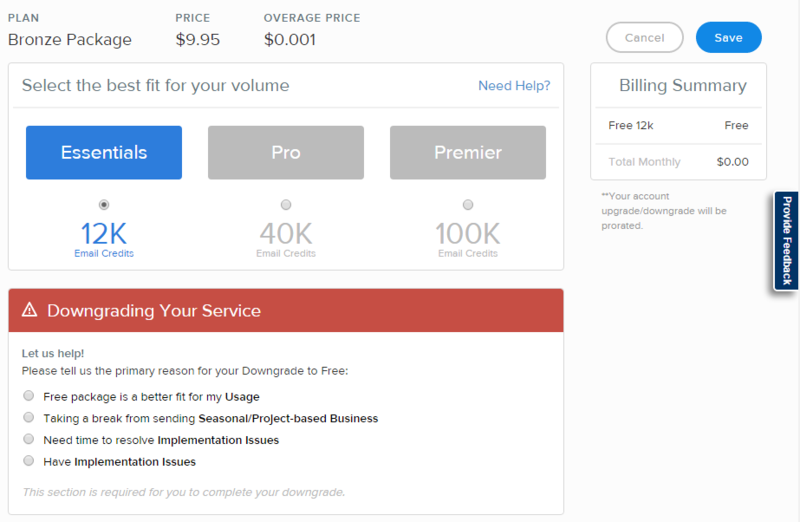 Existing customers who wish to upgrade to this new plan may do so within the SendGrid Customer Portal.